The tour takes you to visit three of the most famous destinations of Orissa - Konark, Puri and Bhubaneshwar. The three places endowed with greater historical and cultural significance are known worldwide, and are favourite attraction for foreign tourists. 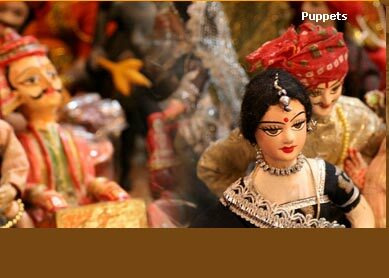 The 6 days tour lets you explore some of most famous Hindu temples lying in Orissa. Besides, the beautiful coast area of these famous locations give you several other way to enjoy the vacation. Day 1: Bhubaneswar. Arrive at Bhubaneswar. Check into hotel. Afternoon, take sightseeing tour of Bhuwaneshwar, which includes visit to Parsurameswaram Temple, Lingaraj Temple and Dhauli. Overnight stay at hotel. Day 2: Bhubaneswar. The whole day you will be exploring the world famous Buddhist site of Udaigiri, Ratnagiri and Lalitgiri. In evening, rush back to hotel where you stay overnight. Day 3: Bhubaneswar-Puri. After breakfast, get ready for drive to Puri. Reach there afternoon. Spend evening at beautiful beaches of Puri. Stay overnight at hotel. Day 4: Puri. 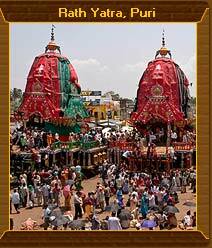 Today, visit world famous temples of Puri including Jaganath Temple and Loknath Temple. Day 5: Puri-Konark-Bhubaneswar. Get up early in morning. Drive to reach Bhubaneswar. En route you will halt at Konark to see its world famous Konark Sun Temple. Afternoon, drive to Bhubaneswar. Overnight stay at hotel. .
Day 6: Bhubaneswar. According to your flight schedule, our representative will transfer you to airport to take your further journey. Temple sightseeing in Orissa is one of the most important tourism factors attracting tourists from all over the world in heaps. 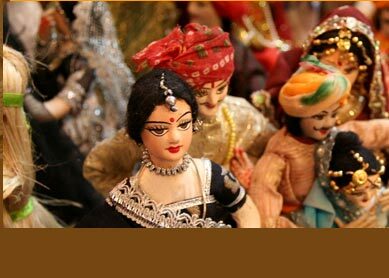 Seeing its temples unmatched in their historical and architectural significance comprise a wonderful joy for tourists. Worshiping at these popular religious spots is dream fulfilled for Hindu pilgrimage. Attend the traditional way of worshiping at temples, take back the Prasad (offerings to gods) to your home for your family. Beach excursion at beautiful beaches of Puri and Konark will be your favourite hangout, which you will love to be indulged into. Spend evening sitting with your family and friends at sea shore. Photography and shopping will be other two activities, you should not forget to be engaged into.